The Southern Carmine Bee-eater (Afrikaans name, Rooiborsbyvreter) is a stunningly beautiful bird and an accomplished catcher of insects. Whilst driving in the Kruger National Park, we were crossing a causeway over the river when we saw these birds catching insects. We stopped and just admired them for some time, their colours even more stunning when flying (we were nowhere near quick enough to get a photo of them in midair). 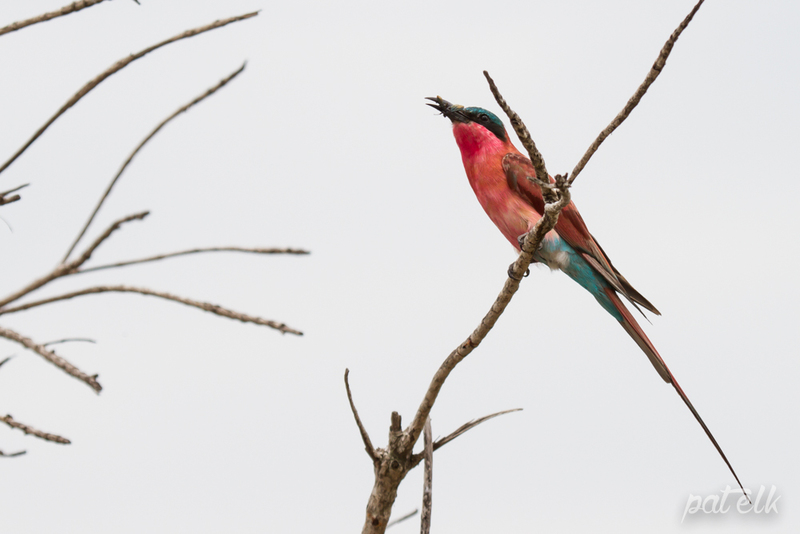 The Carmine Bee-eater is an Intra-Africa migrant arriving here in our summer.